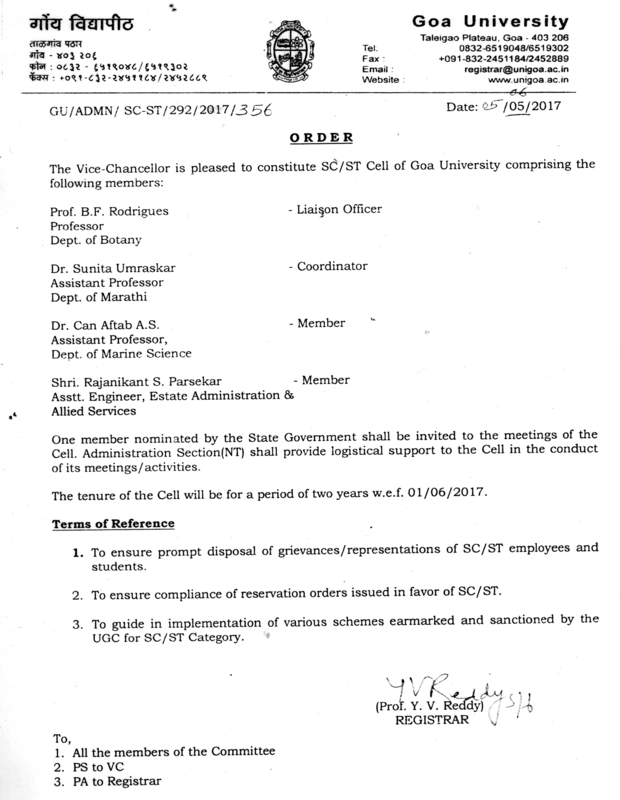 One member nominated by the State Government shall be invited to the meetings of the Cell. Administration Section (NT) shall provide logistical support to the Cell in the conduct of its meetings/activities. The tenure of the Cell will be for a period of two years w.e.f. 10 Jun 2017. To ensure prompt disposal of grievances/representations of SC/ST employees and students. To ensure compliance of reservation orders issued in favor of SC/ST. To guide in implementation of various schemes earmarked and sanctioned by the UGC for SC/ST Category.